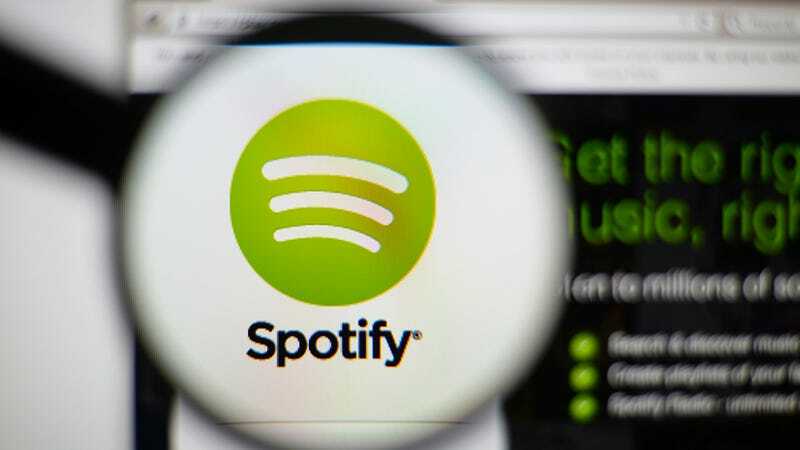 Spotify, the original titan of the music streaming world, is packed with plenty of great—but there are still plenty of third party add-ons that can enhance the original app even further. Here are some of our favorite utilities for doing more with Spotify and taking your streaming to the next level. Equalify Pro is a full equalizer plug-in for Spotify, though you’ll have to pay a few bucks to get your hands on it. The plug-in only works on the Spotify client for Windows at the moment. If you think you can mix your tunes better than the professionals originally did, then it’s well worth the investment. Just click the Equalify Pro button inside Spotify to launch it. We’d only recommend the plug-in for those who are serious about tweaking their music output rather than having a quick play around with it. The tool uses a parametric rather than a graphic interface, and blends it seamlessly into the main Spotify interface. The presets that come with the software are a useful way to test out different mixes, too. Spotify’s web player is all well and good if you want to listen through a browser, but it doesn’t have much in the way of keyboard controls, which is where Spotify Web Player Hotkeys comes in. This Chrome extension lets you control playback from your keyboard even when the Spotify tab isn’t actually active, and the shortcuts can be customized too. By default, Alt+Shift+P will start and stop playback, Alt+Shift+Period will skip to the next track, and Alt+Shift+Comma goes back to the previous one. If you’d like to change these to ones that are a little more suited to you (and add others), open the Extensions page from Chrome’s menu and scroll right down to the Keyboard shortcuts link at the bottom. The Set Listener combines features from the Spotify API and the API from gig database Setlist.fm to create playlists from your favorite band’s most recent show. Type in the name of a particular artist to get the setlist from their last gig, which can then be saved to your Spotify account as a new playlist with a couple of mouse clicks in your web browser. Of course, you’re getting the album versions of these songs rather than live recordings, but it’s still a great way of reliving a gig you’ve just been to or listening to the specific tracks a particular band is running through these days. You’re relying on the Setlist.fm data being accurate and up to date, but from the tests that we ran it seems to be up to scratch. Another automatic playlist generator in the vein of The Set Listener, but The Playlist Miner works by plugging itself into all the most popular public playlists on Spotify to bring you tunes based around the keyword of your choice. Type in “workout”, for instance, and you get back a bunch of tracks other Spotify users have associated with their time at the gym. Log in with your Spotify credentials first of all then type in any word or phrase to get started. Anything goes really—try “Sunday” or “ballad” or whatever you like—and from the results screen you can either browse individual playlists or click the Find Top Tracks button to collect together the songs that occur most frequently across all these playlists. If you’ve ever wandered through the Spotify settings page and wondered exactly what that option to connect to Last.fm is all about, then wonder no longer. Last.fm is a platform for discovering and sharing music, but perhaps its most useful feature is the ability to log (or “scrobble”) all of your listening over multiple devices and apps (including Spotify). Spotify lets you look back through your most recent history but it’s nowhere near as comprehensive as Last.fm, which can tell you which album you’ve heard most often during your lifetime or remind you which track you couldn’t get enough of three summers ago. It can serve up intelligent recommendations for new artists you might like as well. What&apos;s Better: Apple Music or Google Play Music?